Sony’s Xperia E3 is one of a growing number of sub-£100 4G phones, and it brings some slick design with it, but there are better rivals for the same or lesser cost. The grainy display and iffy camera ultimately make it a difficult phone to recommend, even though it does its job, allowing you to stream media and browse the web with satisfying LTE speeds. 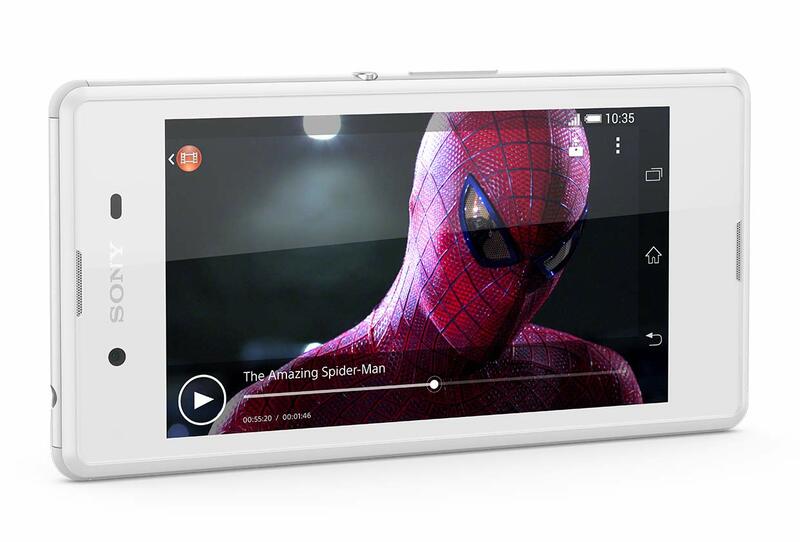 The Sony Xperia E3 wants to make a splash but not rock the boat of Sony's other midrangers. Now, that sounds like a tough brief but the Xperia E3 might just have enough to get noticed in the crowded mid-range market. Bang for buck is key here and the most affordable Xperia of this generation offers plenty of it. The sub-720p screen counts against, but it readily over-delivers in other departments. The Xperia E3 is a good looking device that brings many of Xperia range's design features to a more entry-level product. It's plastic, not as slim and a little heavier than the premium devices in this portfolio but it has a nice feel to it and we liked it. This end of the market is becoming more and more competitive but despite the low internal storage capacity, we think Sony has done alright here. 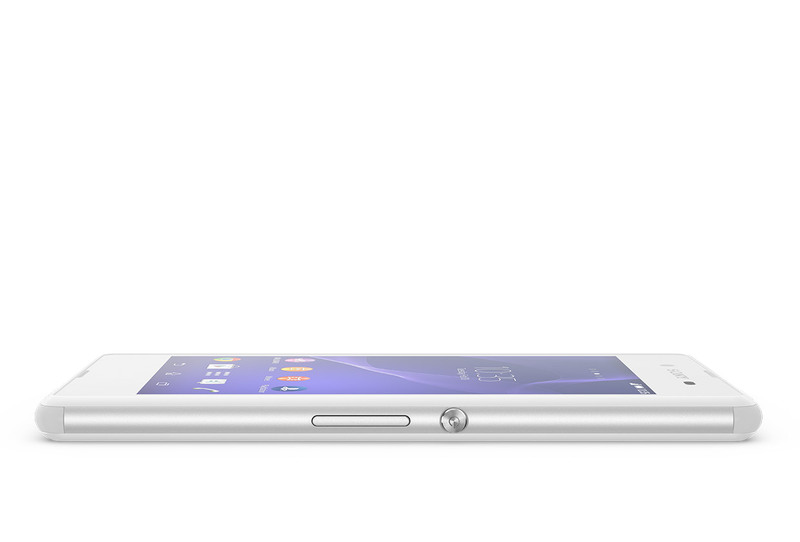 The Sony Xperia E3 is another phone that's designed to do a job, and does it pretty well. It's meant to take some cues from the big Sony phones and bring them to a price point that the smartphone naysayers can stomach. The HDR mode and wider viewing angles of the screen make it feel a lot more premium, and while I find the chassis too chunky I don't think it will put off too many people. 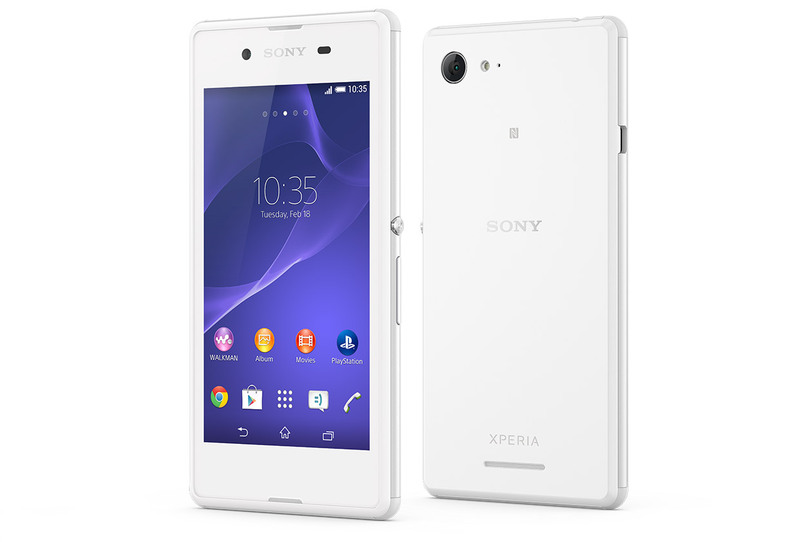 Model: With the Xperia E3, Sony has created a well balanced device that delivers performance with bang for the buck. 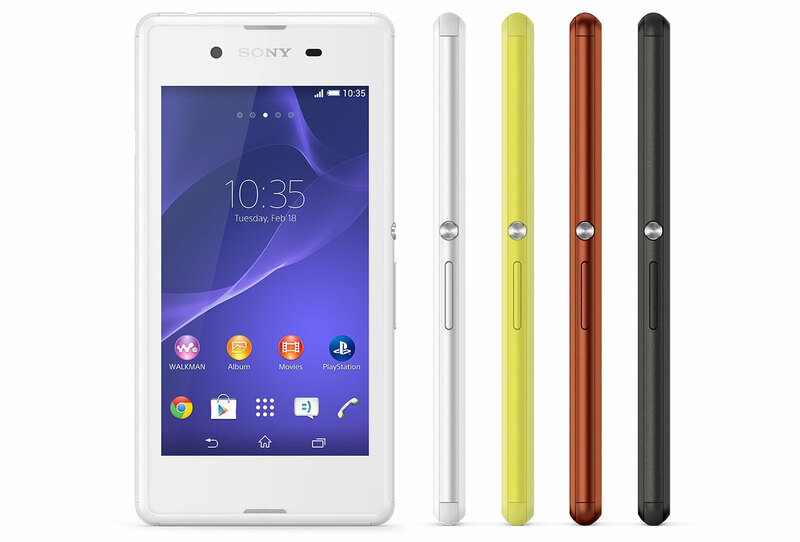 The design philosophy is the same as any modern Sony smartphones' with emphasis on built quality and simplicity. There are 4 colors to choose from; white, black, yellow and copper. The chassis feels solid in hand with slight curves at the corners while the entire device weighs in at just 143.8 g. The 4.5 inch IPS panel has a pixel density of 218 ppi. Images are sharp and colors are beautiful even if the screen size is on the compact side. The Android 4.2.2 KitKat device comes with a Qualcomm Snapdragon 400 chipset, a Cortex-A7 quad core processor clocked at 1.2 GHz, 1 GB RAM, an Adreno 305 GPU and an internal storage of 4 GB. Users can upgrade storage with an additional 32 GB using a microSD. Despite the affordable tag, Sony has implemented a good 5 MP autofocus rear camera. There is also a secondary VGA front camera on-board. 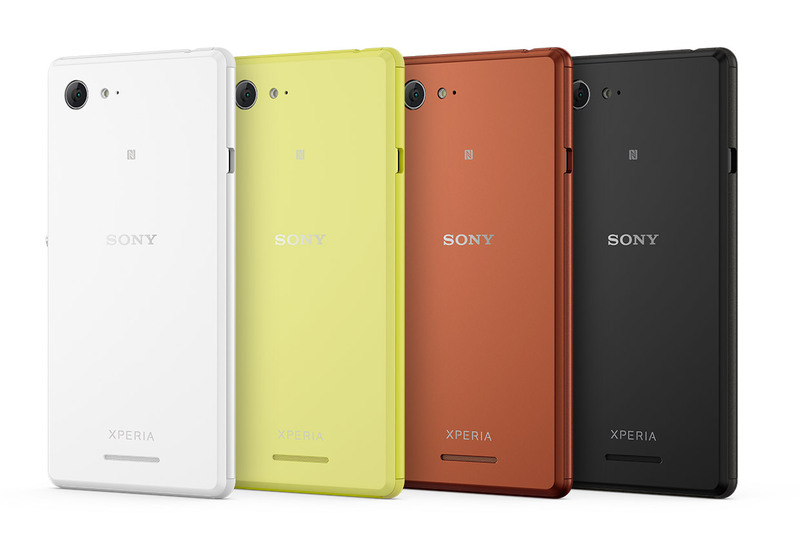 The Sony Xperia E3 also feature Bluetooth 4.0, A-GPS, and an FM radio with RDS. Battery life gets the thumbs up with a non-removable Lithium-Ion cell rated at 2330 mAh delivering up to 12 h talk time. 70.8%: This rating is bad. Most notebooks are better rated. This is not a recommendation for purchase.